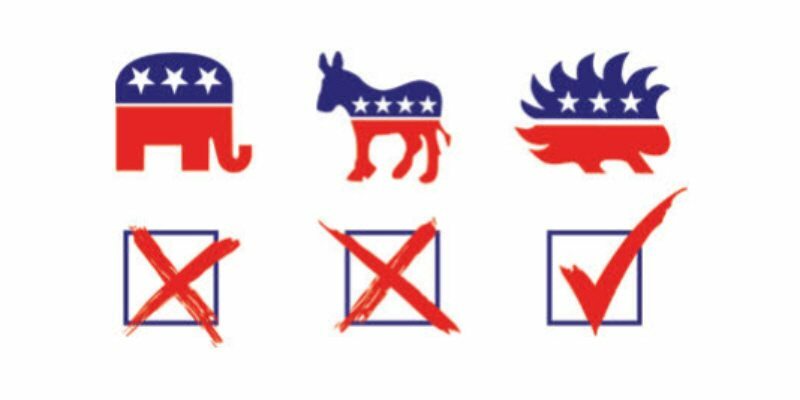 We asked Michael Vaughn, Chair of the Pulaski County Libertarian Party (PCLP) to share his recommendations on the 2016 ballot initiatives, based on his research of the issues. 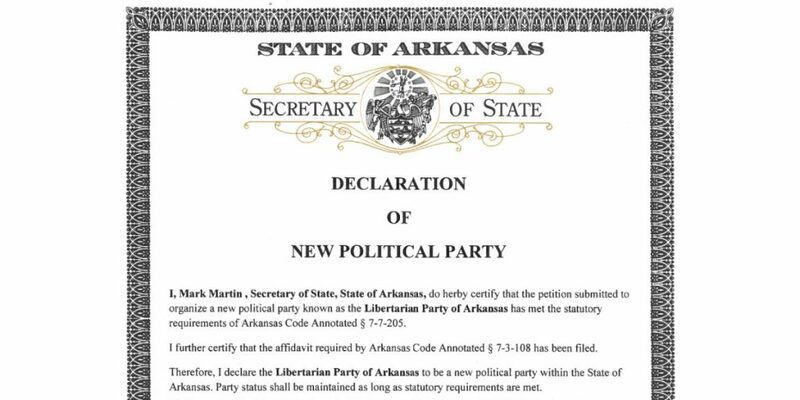 You can find the details he compiled at the PCLP website: https://pulaskicountylibertarians.org/2016-arkansas-ballot-initiatives/. 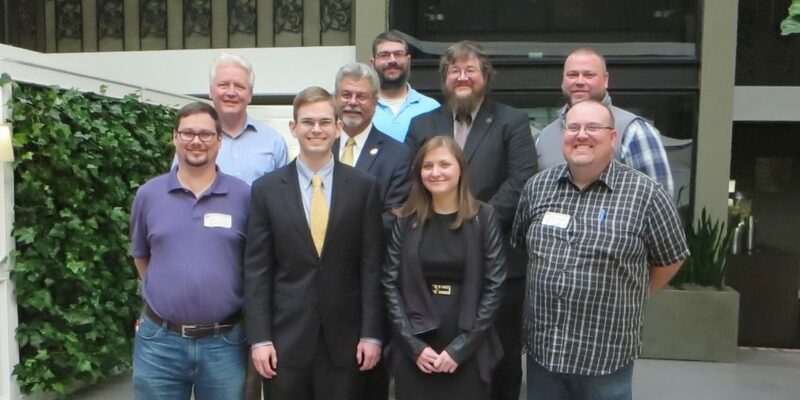 The Libertarian Party of Arkansas takes no official position on the ballot initiatives, but its members overwhelmingly agree with Mr. Vaughn that Issue 3 is a NO and Issue 6 deserves a YES. Due to recent court decisions, votes will be counted only for Initiatives 1, 2, 3, and 6. 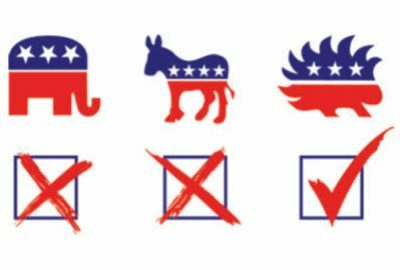 However, we recommend that voters show their preferences by voting on ALL of the ballot initiatives. This is particularly true for Initiative 7, which was struck down after early voting had begun and remains a contested issue at the time of this writing. 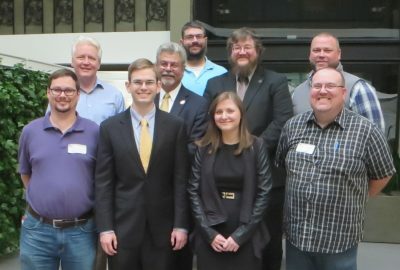 Arkansas Libertarians recommend a YES vote on Initiative 7. 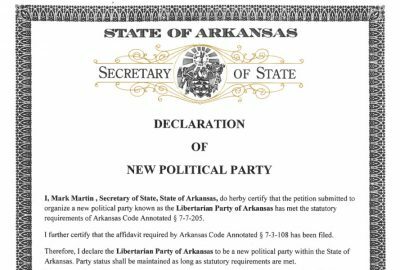 Initiative 1: Proposing an Amendment to the Arkansas Constitution Concerning the Terms, Election, and Eligibility of Elected Officials. At first glance, this initiative seems to include common sense, money and time saving ideas in regards to elections and ballot printing. If a race is uncontested after all deadlines have passed, the one person running will be declared the winner, the race will not be placed on the ballot, and if this was the only race in the election, the election will not be held. It also clarifies which crimes disqualify someone from being elected to the General Assembly, another good feature. The catch comes in the form of extending the term lengths of several county offices from 2 year terms to 4 year terms. These offices include; Circuit Clerk, County Judge, County Sheriff, County Assessor, County Coroner, County Treasurer, County Surveyor, and County Collector of Taxes. I personally believe public servants should be just that, servants, and their re-elections should be frequent to ensure the public believes they are still doing a good job. These offices should be temporary jobs, not careers, and as such, I will be voting NO on Initiative 1. Initiative 2: A Constitutional Amendment to Allow the Governor to Retain His or Her Powers and Duties When Absent From the State. This Amendment appears to be the most straight forward, simply changing a current provision that has been made obsolete by modern technology. Under the current law, the Lt. Governor is allowed to assume the powers of the Governor if they are out of state. This was used in 2013 by the Republican Lt. Governor to pass legislation the Democrat Governor was blocking, while he was in Washington D.C. at a Governors’ Conference. While this law made sense when it was written in 1914, modern technology allows for immediate communication with the Governor, no matter where they might be. I will be voting YES on Initiative 2. Initiative 3: An Amendment to the Arkansas Constitution Concerning Job Creation, Job Expansion, and Economic Development. This initiative is crony corporatism portrayed as a jobs initiative. Currently, the State is allowed to raise funds through a public sale of bonds, and then use these bonds to attract businesses by paying for infrastructure for the businesses. This initiative would extend that right to all levels of government in the state. It would also change the current wording from “industrial development purposes” to “economic development projects,” broadening the purposes the funds can be used for. In addition to the current use of property taxes to pay off the bonds, this authorizes the legislative body to authorize other taxes to be used. Any surplus taxes collected would go to the general funds of the municipality. The current cap of 5% of the general revenue would be removed. Lastly, this would remove the current requirement for the sale of bonds to be at a public auction with 20 days’ notice in a local paper. With these features, any municipality in the state would be able to raise unlimited amounts of money, by selling bonds to select individuals and corporations, give this money to select individuals and corporations, then make the tax payers cover the cost of repaying the bonds. This is corporate welfare and benefits large corporations over small businesses. I will be voting NO on Initiative 3. Initiative 4: An Amendment to Limit Attorney Contingency Fees and Non-Economic Damages in Medical Lawsuits. This initiative has currently been struck down by the State Supreme Court, but has already been printed on the ballot. The current guidance is for the Secretary of State to not count these votes or certify them; I will give my opinion just in case that changes. While seemingly created by some with the good intentions of protecting victims by limiting the percentage of the non-economic damages a lawyer can take, this initiative tramples all over freedom. By limiting the amount by law, they are taking away our freedom to negotiate our own contracts. This initiative also says the General Assembly will decide how payments are calculated, what factors are considered and how, and requires them to set a maximum dollar amount for all cases (only stipulating it must be at least $250,000.) What dollar amount would you put on your quality of life, or the quality of life of a loved one? Do you trust the maximum set by the General Assembly will be enough to cover your child’s lifetime of pain and suffering? I will be voting NO on Initiative 4. Initiative 5: An Amendment to Allow Three Casinos to Operate in Arkansas, One Each in the Following Counties: Boone County, Operated by Arkansas Gaming and Resorts, LLC; Miller County, Operated by Miller County Gaming, LLC; and Washington County, Operated by Washington County Gaming, LLC. The hardest part about this initiative, is trying to figure out the worst part of it. While I fully support expanding casinos in the state, the cronyism far outweighs the slight increase in freedom. The measure would write three specific corporation names into the State Constitution, it would have the entire state decide what businesses would be placed in three specific counties rather than the citizens in those counties, and it gives an 18% tax rate to the state but only 0.5% to the county and 1.5% to the cities. If this were to open up the gaming industry in the state, I’d support it, but I can’t support writing corporation names into the State Constitution and setting up blatant government issued monopolies. I will be voting NO on Initiative 5. Initiative 6: The Arkansas Medical Marijuana Amendment of 2016. This initiative and Initiative 7 each have their strengths and weaknesses, but both are a step in the right direction toward freedom. The main strength of this initiative would be that it’s an Amendment; therefore it couldn’t be changed by the State Legislature. While it’s not complete legalization, it will at least allow patients to receive access to medicine they can’t access now. In a state where 35 of 75 counties don’t allow alcohol sales, and every city but 4 ban alcohol sales on Sunday, waiting on complete decriminalization is going to leave patients in pain for decades. I will be voting YES on Initiative 6. Initiative 7: The Arkansas Medical Cannabis Act. This initiative has currently been struck down by the State Supreme Court; they disallowed approximately 12,000 signatures leaving it short of the number required. It remains on the ballot and there’s no penalty in voting on it, just in case appeals are successful. According to Arkansas law, if both this initiative and Initiative 6 pass, the one receiving the most votes becomes law. This initiative was a bigger step toward freedom in my opinion, but it was only a State Statute, leaving it vulnerable to being overturned by the Legislature with a 2/3 vote in each the House and Senate. This initiative applied to more illnesses, allocated the surplus taxes to providing medication to low income patients, and allowed those living more than 20 miles from the nearest Cannabis Care Center to grow their own medicine. With both of these initiatives providing a small step towards freedom, I will be voting Yes on Initiative 7. Whatever conclusions each of you draw on these initiatives; however you decide to vote, the important part is to do your own research, come to your own conclusions, and understand exactly what it is that you’re voting on.